Every Bride that we have the privilege to work with is so unique and we love showing you how to enhance what you already have with flawless Hair & Makeup. 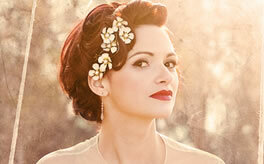 Do you want to be a fairytale princess or a vintage vixen on your big day? Let us guide you and create a look that is just as rare as you are. We will patiently listen to you and help you bring your vision to life with our creativity and expertise. 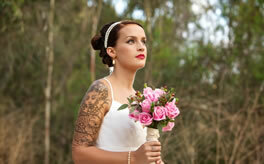 For many, Hair & Makeup is an afterthought but it is an investment you should consider making on your wedding day. While flowers and place settings may be forgotten, your wedding photographs will last a lifetime and you want to appreciate how you look in those photos. Let us show you how Airbrush Makeup can be a girl's best friend and let you dance the night away with confidence. Need some inspiration for your big day? Peruse our gallery of images from Vintage to Boho and let us help you find your vision for your Hair & Makeup. 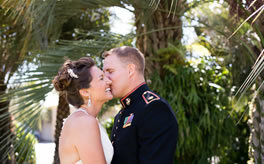 View testimonials from some of our favorite Bridal beauties from across the country. We love our local brides! 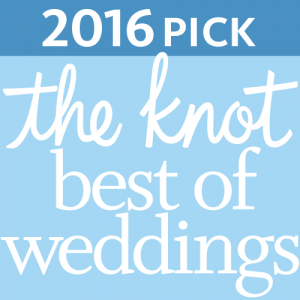 Find out why we've been voted "Best of Weddings" in San Diego by local brides for two consecutive years.